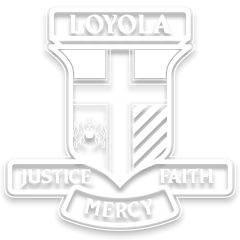 Loyola College’s Religious Education Program provides a context which facilitates faith development. The College acknowledges that the family is the first educator of the child and that its efforts can only complement the faith that is nurtured in the home. In Years 7 to 10 Scripture, Prayer, Theology and Church teachings form an integrated foundation for the program with specific units on Sacraments, Church History, Liturgy, Prayer, Social Justice, Personal Development and Decision Making. In the senior years students study units on Faith and Action that incorporate VCE Texts and Traditions, Religious and Society, Youth Ministry, a VCAL RE program and a Year 12 school based elective program. To support the ongoing development and understanding of Ignatian Spirituality, a program of Positive Psychology through an Ignatian lens has been implemented through the Personal Development program for students. The Religious Education program is embedded in the day-to-day life of the College as a Christian Community. Regular liturgies, Masses, Reflection Days, Sacrament of Reconciliation opportunities, Retreats and Christian Service programmes encourage the integration of faith and life.